Born in South Africa, but now an Irish citizen, Kevin Volans’ musical idiom has been shaped by an unusually diverse range of experiences, including studies with Stockhausen in Cologne, field trips to South Africa to study traditional music, his own involvement with the New Simplicity movement, his collection of contemporary art and African textiles, friendships with composers like Morton Feldman and Gerald Barry, as well as a love of virtuoso piano music which he performs, broadcasts and records. While having an easily recognised, unique voice, Volans’ music resists compartmentalisation. 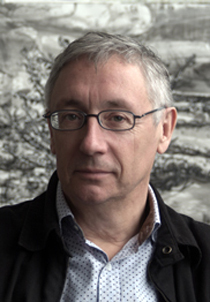 He is as comfortable working in conventional genres as embarking on innovative collaborations with artists of other disciplines such as novelist Bruce Chatwin, choreographers Jonathan Burrows, Siobhan Davies and Shobana Jeyasingh, and visual artists William Kentridge and Juergen Partenheimer. A committed modernist, he lives by the tenet: Nothing is given - there should be no received language.